Part 1 of this two-article episode introduced you to a variety of well-known personality tests or cognitive profiling methods. You may have already heard of —or even been tested in— tools such as Myers-Briggs Type Indicator (MBTI), Herrmann’s Brain Dominance Instrument (HBDI), DISC or the Enneagram. In today’s part 2, allow me to share how to scrutinize the underlying conceptual constructs and design architecture of a cognitive profiling method by answering the following questions: What conceptual features do almost all of these methods have in common? What shortcomings did I notice in many of the profiling tools that I tested? In general, cognitive profiling methods add value because they allow us to learn more about ourselves and other people at work. Unfortunately, most traditional methods are only to a limited extent able to provide insights on how everyone can contribute to an organization’s innovation efforts, as I discovered while hunting for years for a suitable cognitive profiling tool to support the people-side of innovation. This is because most methods that I investigated suffer from one or more common methodological shortcomings. In the end, thinking about how to fix these perceived “bugs” led me to come up with a new cognitive profiling method for innovation: TIPS, Thinkergy’s Innovator Profiling System. What are common design features of most cognitive profiling concepts? Use of dimensions: Most tools use between one and four dimensions to capture differences in personal styles. These theoretical constructs typically relate to particular cognitive or psychological theories. For example, the Myers-Briggs Type Indicator (MBTI) uses four “preferences” linked to Carl Jung’s psychological theories to profile people; Herrmann’s Brain Dominance Instrument (HBDI) draws upon brain theories to profile people using two dimensions mapped out in a four-by-four matrix; and Kirton’s Adaption-Innovation Inventory (KAI) falls back on his own theory to profile people using a one-dimensional construct. Use of a questionnaire to measure differences: All concepts capture individual differences by asking people to complete a profiling questionnaire. While the questionnaire design varies based on the overall architecture of each concept, a popular modus operandi is a four-box forced-choice questionnaire (e.g., DISC, M.I.N.D.). Numerical scoring of profiling results: After completing the questionnaire, most methods present the results in the form of numerical test scores (e.g., M Score of 0 + I Score of 11 + N Score of 0 + D Score of 1 = 12 is a sample result that I got after doing Black’s M.I.N.D. Design concept). Use of a profiling map or table: The numerical test scores are often visualized in a profiling map and/or profiling matrix (e.g., HBDI, Wealth Dynamics). Assignment of profile types: Some but not all concepts assign distinct profile types to a person based on the test results. At times, these profiles carry an abstract and technical label (e.g., ENTP is one of sixteen profile types of MBTI that I mostly was assigned as a test result); at other times, they use descriptive names that relate to well-known professional roles (e.g., the supervisor and the architect are two of sixteen profile labels of Keirsey’s KTS). The number of profile types of concepts I came across varies between two and forty-nine in those concepts I got myself tested in. What are common shortcomings of many cognitive profiling concepts? By testing a great variety of different cognitive profiling tools over almost a decade, I also noticed certain shortcomings, perceptual blindspots and application delivery gaps that got me thinking about how to fix these perceived suboptimal, missing or even “wrong” elements. So what are some of these suboptimal things I noticed? What is the best number of dimensions or theoretical constructs needed to adequately profile a person? While MBTI and KTS use four dimensions, many concepts suffice with only two-dimensional (WD, HBDI, MIND, Insights Discovery) or even one-dimensional constructs (KAI). Concepts with few dimensions emphasize certain aspects of personal style, but tend to neglect other facets relevant for business and innovation. Interestingly, for a few profiling concepts (including some popular ones that I won’t name), I was unable to understand their methodological design architecture and discern the underlying theoretical constructs. Many profiling tools interpret the test scores for a cognitive construct as an “either-or” result. For example, in MBTI, you ultimately come out as either an extravert or introvert. But could there be people who are both? Yes, I am one of them, and depending on the contextual situation and the required task at hand, I am as energized running a full-day innovation event in front of a large crowd as spending a day at my desk writing an article or a chapter of a book. Moreover, depending on the test version, I tend to come out more often as an Extravert, but at other times get profiled as an introvert. In many profiling methods such as MBTI, you’re assigned a profile even when there are only tiny score differences for one or more tested dimensions. Suppose your test results in MBTI would be Extraversion vs. Introversion 51-49, iNtuition vs. Sensing 51-49, Thinking vs. Feeling 51-49 and Judging vs. Perceiving 51-49. In this case, MBTI assigns you a personality type (ENTJ), and that’s how everyone familiar with the method will look at you from now onwards. However, had 2-3 questions been formulated in a slightly different way, or had you not “overthought” your answers, you might have come out as an INFP instead. Of course, this problem is amplified if the expressions for two, three or even all four expressions are identical, making it difficult to classify such a balanced person within one of the 16 MBTI-profile “boxes” with confidence. 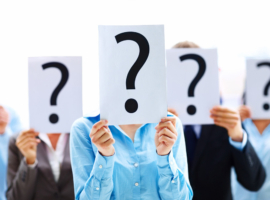 What is a fair number of questions to reliably measure the surveyed variables and to adequately profile a candidate? Here the art is to strike a right balance between time effectiveness of taking the test, and the accuracy of its result. While many candidates appreciate how quickly they can complete a short survey, some object that a short questionnaire is inadequate to capture sufficient aspects of their personal style — and vice versa in the case of a long questionnaire. Questions vary in number from as few as nine (M.I.N.D.) to more than a hundred (HBTI, some versions of MBTI). Suppose you’re a team manager using a cognitive profiling concept to capture the different personalities of your subordinates. Would you prefer to have no profiling types at all and having to recall the test scores only? Probably not. So we agree that having profiles is useful. But what is the best number of profiles to provide sufficient distinctions in style differences without overwhelming users? Are two profile types (KAI) or four profile types (Foresight) adequate to capture sufficient differences in style? Can you easily remember how sixteen profiles (MBTI, KTS) differ from each other? Here, eight to ten profiles seem to be a good number to strike a balance between offering diversity and avoiding over-complexity. What do we call someone with a certain cognitive test score? Some profiling concepts (e.g., HBDI, MIND.) give candidates profile scores and detailed descriptions, but don’t use catchy names to describe a profile. Although the profile letters have become technical labels for trained insiders, MBTI suffers from this phenomenon, too. KTS resolved this problem by designating a more descriptive name related to well-known professional roles to each MBTI letter label. Laypeople shrug on hearing that I am an ENTP, but nod their heads when learning this means I am an innovator. Like many natural phenomena, most parameters in business (e.g., products, technologies, industries, and economies) pass through cyclical wave patterns. For example, Vernon’s product life cycle concept suggests that successful products go through the phases of introduction, growth, maturity and decline. With the exception of Hamilton’s Wealth Dynamics concept (and later on my own concept TIPS), I came across no other profiling method that entertained the idea that certain personality profiles are more suited to lead an organization through different phases of the life cycle of a venture or a product. How does TIPS conceptually cure these perceived ills? Let’s go through the eight problematic areas identified above one by one, and allow me to explain how TIPS aims to improve on the perceived shortcomings of other profiling methods. 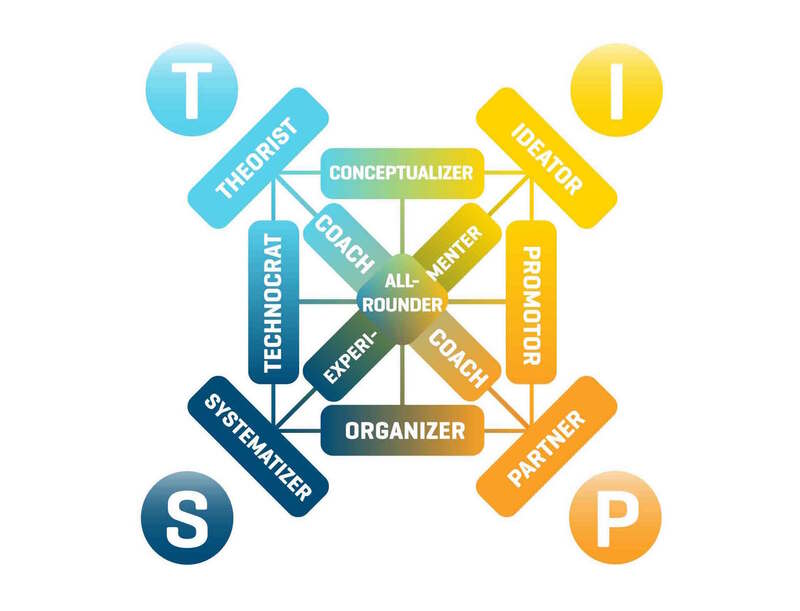 TIPS uses an elegant multi-layered design architecture that employs five theoretical constructs: the four TIPS styles (to think, work, interact and live) and the TIPS bases (Theories, Ideas, People, Systems). Together, they feed the TIPS questionnaire and span the TIPS profiling map. TIPS uses a trinary interpretation of the cognitive styles, meaning you prefer either this style expression or the other, or equally enjoy drawing on both. For example, in my interaction style, I prefer to communicate and make a case using both fact and feeling (and not just one of these style expressions). TIPS assigns a neutral profile, the All-Rounder, to balanced profiling results where the test scores for three or even all four dimensions are near-identical. So we avoid the problem to “lock someone into a potentially wrong profile box” because of a tiny score difference. With 60 profiling questions, TIPS aims for the middle ground between high accuracy and complexity on one hand and time-effectiveness and simplicity on the other. As we gather more data over time, we aim to reduce the number of profiling questions to 50 or even 40 without losing accuracy (with the help of certain statistical procedures such as factor analysis). TIPS proposes 10+1 profile types. So if you can recall the eleven players of a football (or soccer) team, you’ll also will be able to recall all the TIPS profiles. (By the way, the 11th “special” profile is that of the All-Rounder, see above). TIPS uses business-related role names to capture the essence of its 10+1 profile types (all labeled with business-related role names). Do you get a rough idea what a person is all about if you hear she is either a Theorist, Ideator, Partner, Systematizer, Conceptualizer, Promoter, Organizer, Technocrat or All-Rounder? What’s my style to innovate? How can I best contribute to the innovation-efforts of a firm in line with my natural talents and preferred styles? Should I rather lead or create innovation at the front, or manage and administer from behind? At what process stages of an innovation project can I add most value with my cognitive styles? What innovation types are closest to my natural interests? What is my typical response to creative change in our organization? What is my potential to be developed into a creative leader for the innovation economy? Who are the profile types who make game-changing innovations happen? How to hire the most suitable candidate for a position? How to better align the members of a work team to produce better results and higher work satisfaction? How to use my talent in the most conducive work ecosystem? How to manage people in line with their cognitive style? How to understand and mitigate conflict at work? Theoretically grounded in constructs from social science and evolutionary economics, the theoretical construct of the TIPS bases allows TIPS to describe how the different TIPS profiles influence performance as a product or a venture moves through the business cycle. The TIPS bases connect two concepts from evolutionary economics, Kontratiev’s long waves and Schumpeter’s concept of creative destruction, which can explain how technological and social change gradually unfolds over longer periods of time. transfer these novel insights into meaningful action recommendations (So what? How to turn this heightened awareness of self and others into tangible results and meaningful contributions? How to make better use of a person’s unique talents and styles?). Do you want to learn more about TIPS? 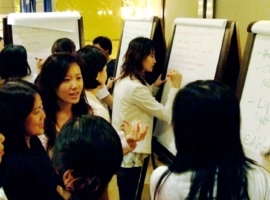 Would you like find out more about our TIPS training for your organization? Or would you like to take the TIPS profiling test yourself? Contact us and let us know more how we may help you.